Proteases are enzymes that cleave peptide bonds of proteins, a process that underlies many physiological functions that support life. Their most basic functions are to control digestion, degrade unneeded proteins, and promote protein homeostasis. However, they also govern tightly regulated signalling cascades that are important for normal physiological functions, including programmed cell death, blood coagulation, hormone processing, antigen presentation, and cell migration. Dysregulated protease activity is therefore a contributing factor in many diseases, including cancer, inflammation and neurodegenerative disorders. 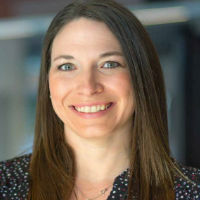 The Edgington-Mitchell Laboratory uses a multidisciplinary approach to understand the contribution of proteases to health and disease. In collaboration with chemists, we are developing novel chemical tools to measure and inhibit the activation of diverse cysteine and serine proteases. We are also applying these tools in vitro, in mouse models of inflammation and cancer, and in clinical samples derived from patients to dissect protease function and to investigate their utility as biomarkers and therapeutic targets in disease. 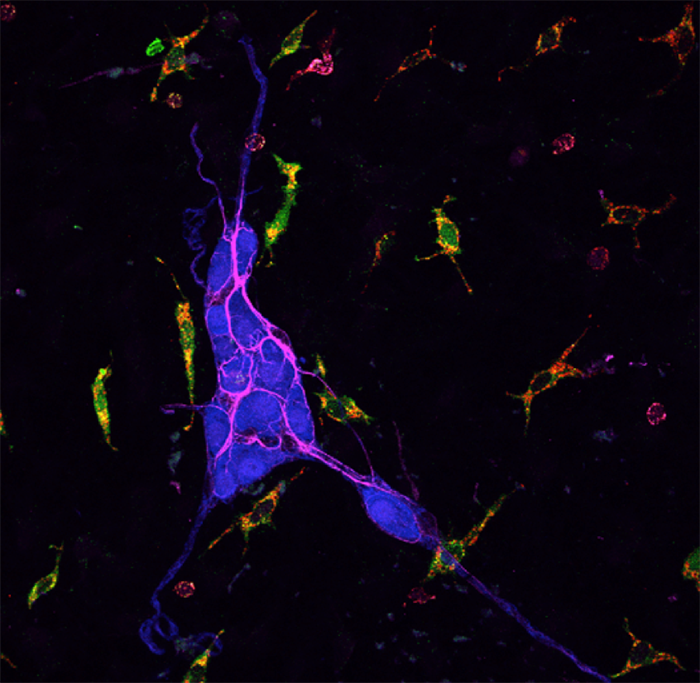 Figure 1: Protease activity (green) within macrophages (red) associated with enteric neurons (blue) and glial cells (magenta) in mouse colon tissue. Click here for the results of a Google Scholar analysis of Laura's publications. Edgington-Mitchell, LE, Bogyo M, Verdoes M. Live cell imaging and profiling of cysteine cathepsin activity using a quenched activity-based probe. Methods in Molecular Biology 2017; In Press. Duivenvoorden HM, Rautela J, Edgington-Mitchell LE, Spurling A, Greening DW, Nowell CJ, Lolloy TJ, Robbins E, Huang P, Brockwell NK, Faou P, Lee CS, Chen M, Holliday A, Selinger CI, Hu M, Britt KL, Stroud DA, Bogyo M, Moller A, Polyak K, Sloane BF, O’Toole SA, Parker BS. Myoepithelial cell-specific expression of stefin A as a suppressor of early breast cancer invasion. J Path 2017; 243(4): 496-509. Edgington-Mitchell LE, Barlow N, Aurelio L, Samha A, Szabo M, Graham B, Bunnett NW. Fluorescent diphenylphosphonate-based probes for detection of serine protease activity during inflammation. Bioorg Med Chem Lett 2017; 27(2): 254-260. Edgington-Mitchell LE, Wartmann T, Fleming AK, Gocheva V, van der Linden WA, Withana NP, Verdoes M, Aurelio L, Edgington-Mitchell D, Lieu T, Parker BS, Graham B, Reinheckel T, Furness JB, Joyce JA, Storz P, Halangk W, Bogyo M, Bunnett NW. Legumain is activated in macrophages during pancreatitis. Am J Physiol Gastrointest Liver Physiol 2016; 311(3): G548-60. Lieu TM, Savage E, Zhao P, Edgington-Mitchell LE, Barlow N, Bron R, Poole D, McLean P, Lohman R, Fairlie D, Bunnet NW. Antagonism of the proinflammatory and pronociceptive actions of canonical and biased agonists of protease-activated receptor 2. British J Pharmacol 2016; 173(18): 2752-65. Edgington-Mitchell LE. Pathophysiological roles for proteases in gastrointestinal disease. Am J Physiol Gastrointest Liver Physiol 2016; 310(4): G234-9. Edgington-Mitchell LE, Rautela J, Duivenvoorden HM, Jayatilleke KM, van der Linden W, Verdoes M, Bogyo M, Parker BS. Cysteine Cathepsin Activity Suppresses Osteoclastogenesis of Myeloid-Derived Suppressor Cells in Breast Cancer. Oncotarget 2015; 6(29): 27008-22. Edgington LE, Verdoes M, Ortega A, Withana NP, Lee J, Syed S, Bachmann MH, Blum G, Bogyo M. Functional imaging of legumain in cancer using a new quenched activity-based probe. J Am Chem Soc 2013; 135(1): 174-82. Edgington LE, Bogyo M. In vivo imaging and biochemical characterization of protease function using fluorescent activity-based probes. Curr Protoc Chem Biol 2013; 5(1): 25-44. Edgington LE, van Raam BJ, Verdoes M, Wierschem C, Salvesen GS, Bogyo M. An optimized activity-based probe for the study of caspase-6 activation. Chem Biol 2012; 19: 340-352. Verdoes M, Edgington LE, Scheeren FA, Leyva M, Blum G, Weiskopf K, Bachmann MH, Ellman JA, Bogyo M. A nonpeptidic cathepsin s activity-based probe for noninvasive optical imaging of tumor-associated macrophages. Chem Biol 2012; 19; 619-628. 22.25. Edgington LE, Verdoes M, Bogyo M. Functional imaging of proteases: recent advances in the design and application of substrate-based and activity-based probes. Curr Opin Chem Biol 2011; 15: 798-805. Edgington LE, Berger AB, Blum G, Albrow VE, Paulick MG, Lineberry N, Bogyo M. Noninvasive optical imaging of apoptosis by caspase-targeted activity-based probes. Nat Med 2009; 15: 967-973.